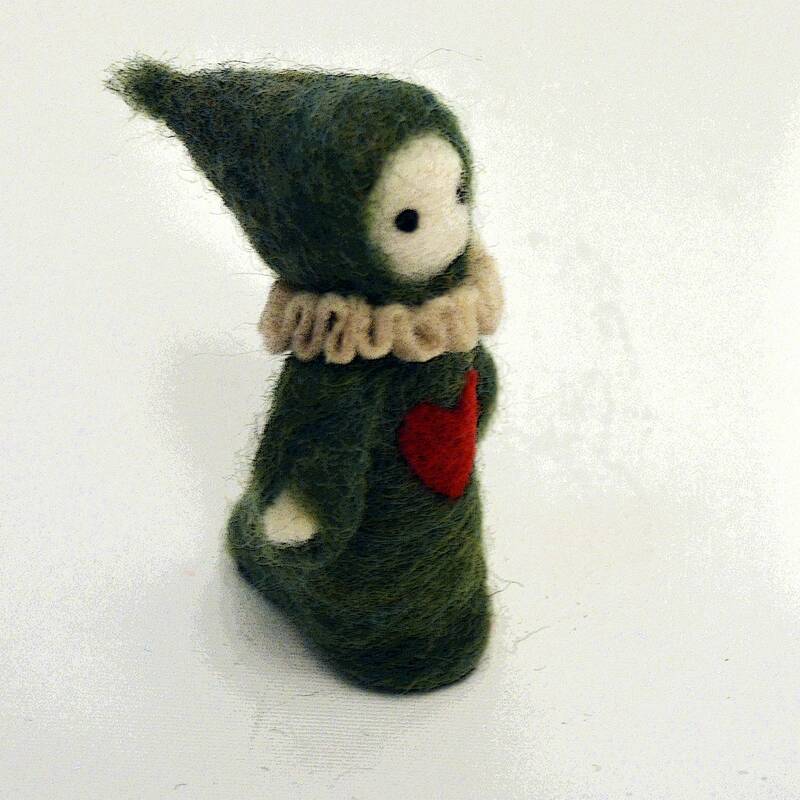 Paddy Poppet - A Poppet Made of Wool- Ships immediately! Winter weather is on its way. 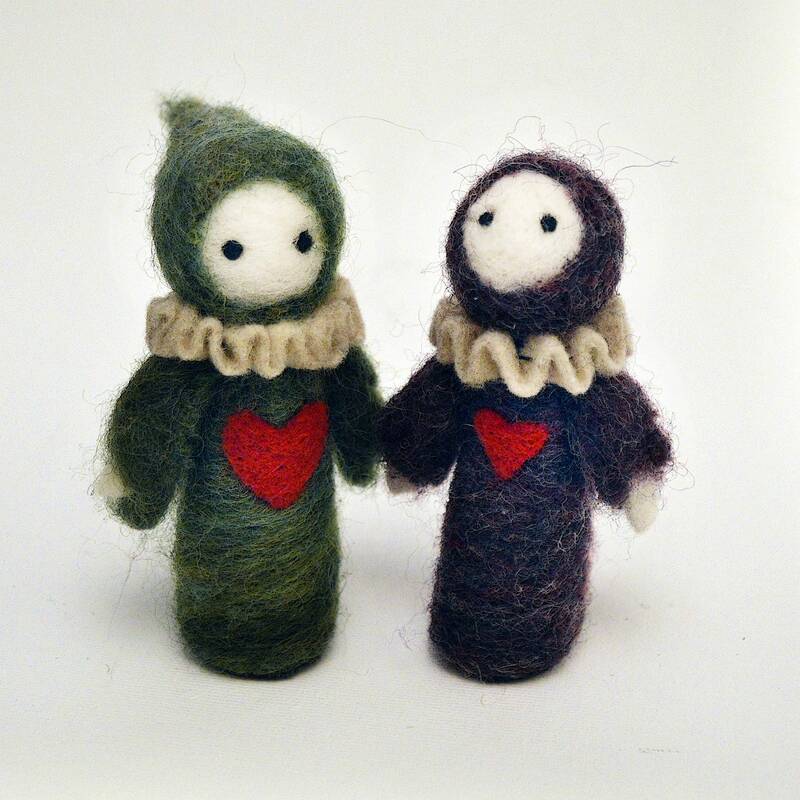 Wool is warm and Poppets like cozy. 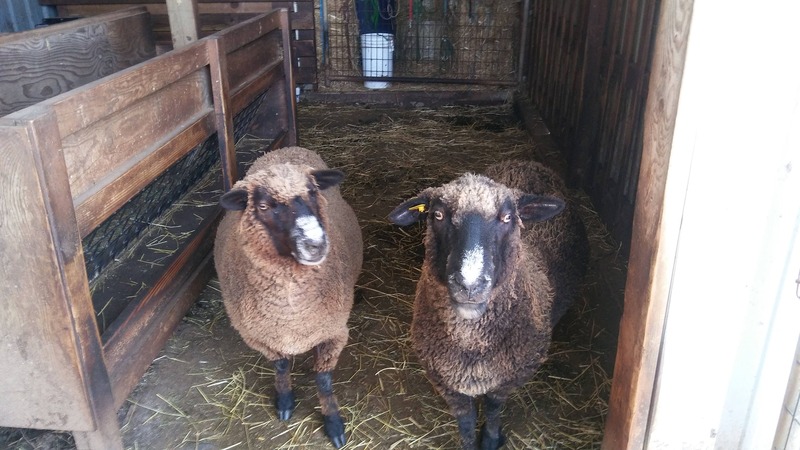 And sheep. 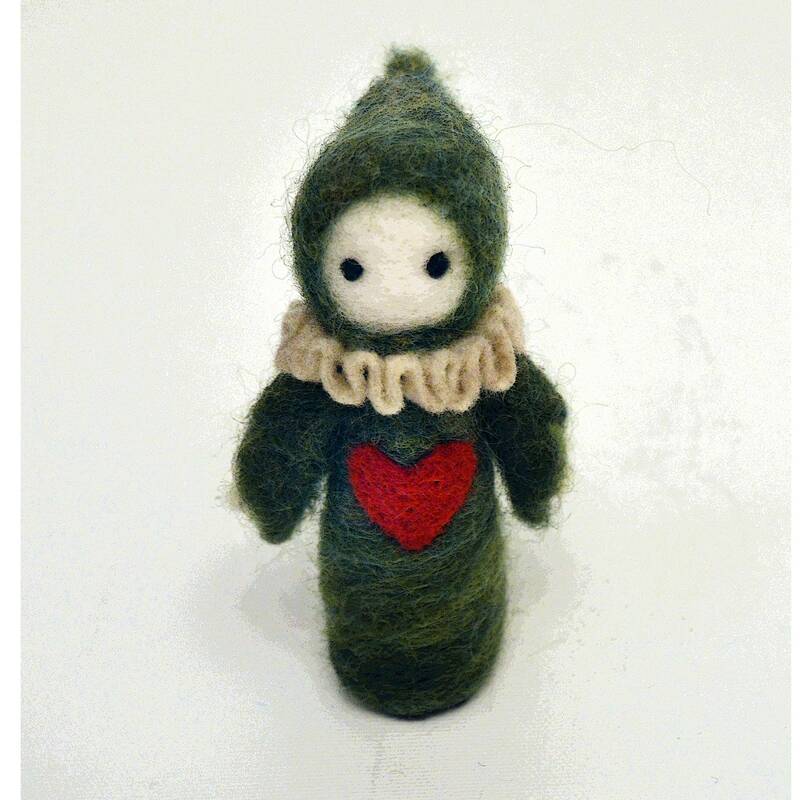 Iggy is a collaboration between Lisa Snellings and needle felting artist Inge Krebs. 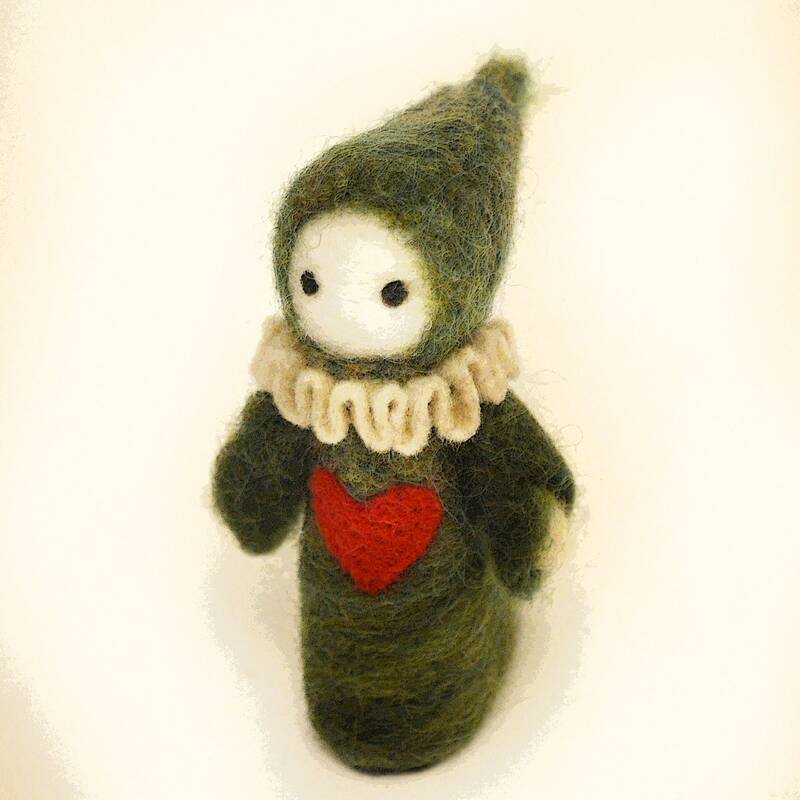 This lovable soft,wooly Poppet stands 4 inches tall at the hat's tip and 1.75 inches wide. Other wooly Poppets pictured are available separately. 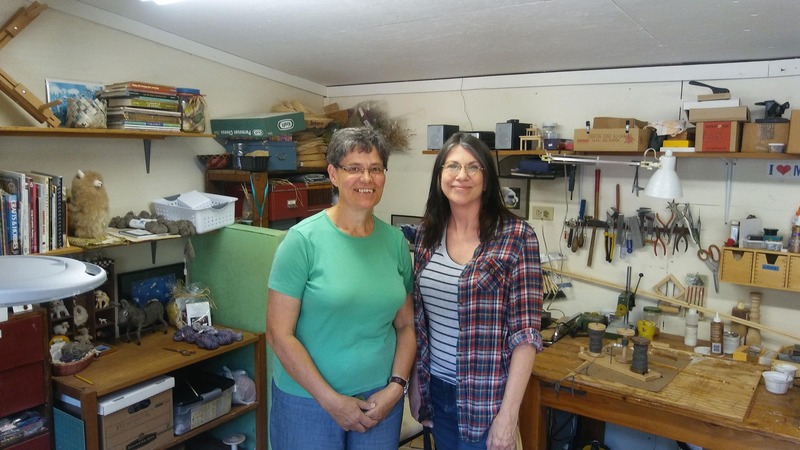 While more wooly Poppets may be created, each one is unique. 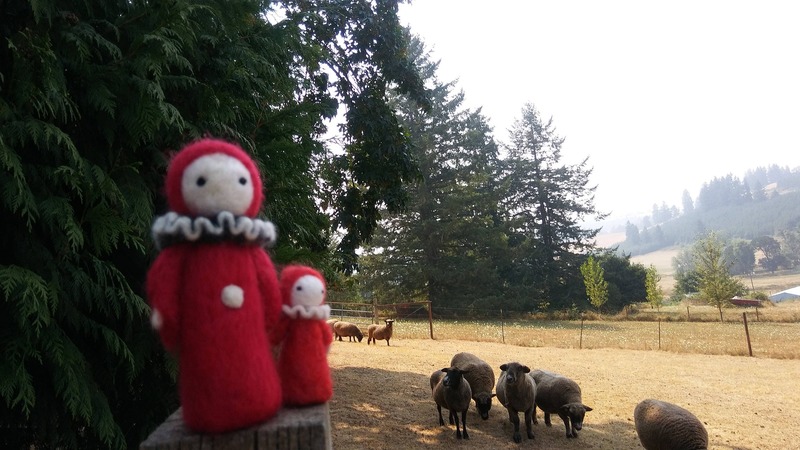 The wool for wooly Poppets comes from Inge's farm called Timberwolf Farm. 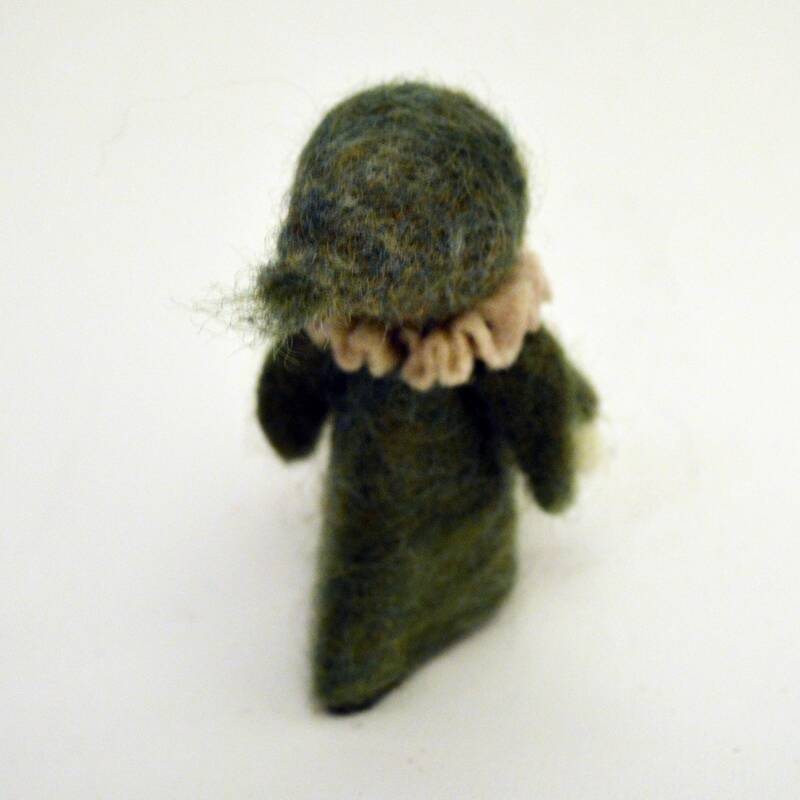 Paddy Poppet was made of wool from sheep that live there. You can see two of then, Bonnie and Beau, pictured above.